Please consider the attached materials for Communications & Community Engagement for Economic and Business Development related positions. I specialize in strategic research-industry communications for economic and business development. I manage sophisticated communications, develop online collaborative technology platforms, and orchestrate complex social media content channels for intelligence gathering and community building. I cultivate public relations and work as a collaborating partner in civic, government, research, and industry projects. In addition to on-line community building, I am an inventor of social knowledge systems and designer of intelligent data for strategic communications. I am an experienced coach, trainer, and consultant to individuals, start-ups, firms, organizations, universities and colleges to accelerate transformative enterprise collaboration. I am a trusted community builder, convener, and developer of regional-to-global networks and am editor and publisher of multi-media civic intelligence libraries contributed by national and global research and industry thought leaders representing social, economic and environmental industry sectors. Thank you. I look forward to the opportunity to bring my talents and capabilities to strengthen your endeavors. RT @JohnWLewis #innochat @DavidHolzmer @complexified: #FF @betseymerkel for the best curation and distribution of knowledge resources. 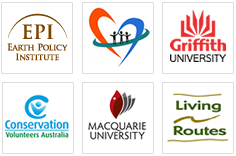 universities and colleges to accelerate transformative enterprise collaboration.